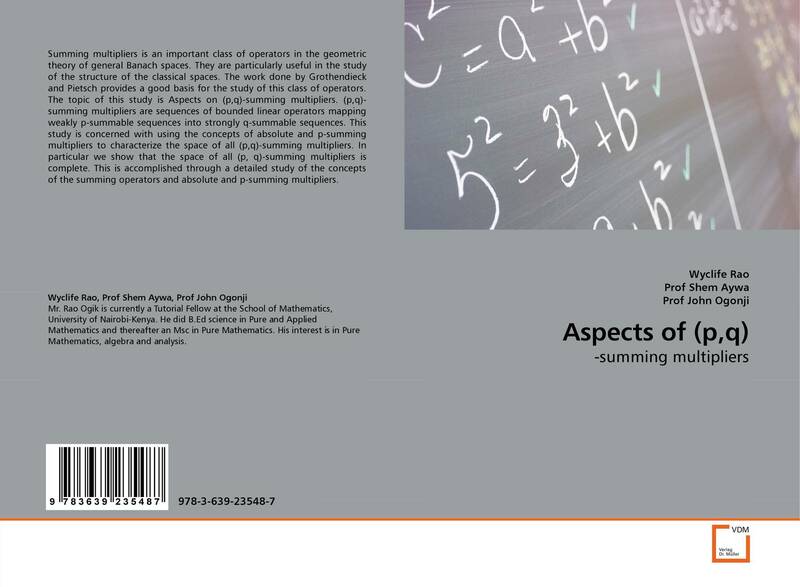 Summing multipliers is an important class of operators in the geometric theory of general Banach spaces. They are particularly useful in the study of the structure of the classical spaces. 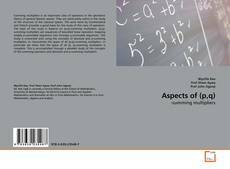 The work done by Grothendieck and Pietsch provides a good basis for the study of this class of operators. The topic of this study is Aspects on (p,q)-summing multipliers. (p,q)-summing multipliers are sequences of bounded linear operators mapping weakly p-summable sequences into strongly q-summable sequences. This study is concerned with using the concepts of absolute and p-summing multipliers to characterize the space of all (p,q)-summing multipliers. In particular we show that the space of all (p, q)-summing multipliers is complete. This is accomplished through a detailed study of the concepts of the summing operators and absolute and p-summing multipliers. summing multipliers, Banach space, dual space, p-summing operators, (p, q)-summing multipliers., q)-summing multipliers.